TruMilk undergoes rigorous physical, chemical and microbial tests before and after processing. Machines and processing equipments are also tested for every batch of TruMilk and the final product is also tested at the time of packing. Packs of TruMilk from every batch are also sent for analysis. 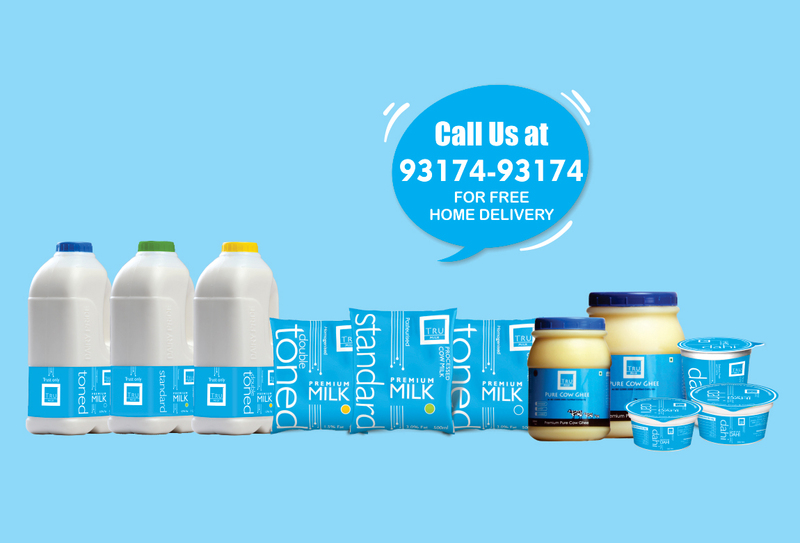 TruMilk does not add anything to give an artificially long shelf life in India’s hot climate. We believe only in clean milk from clean healthy cows, and cold chain for preserving delicate TruMilk. TruMilk knows the cows from whom milk comes from and knows that its cows are clean, healthy and happy. TruMilk knows their entire processing system, which is completely closed and ensures that nothing can be added. TruMilk comes only from MDVLs large farms, not from unknown sources. TruMilk is a modern farming practice and guarantees that there is no adulteration. To read some of the alleged concerns with unknown milk sources, please click here. We believe that collecting milk from unknown sources and then “processing it clean” can never be as good as milking clean at TruMilk! Copyright © 2017-2018 TruMilk. All rights reserved.